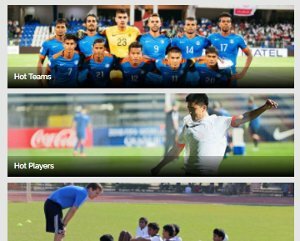 The tournament which pits the ISL clubs against their I-League counterparts has been eagerly awaited by all Indian football fans. The two top leagues of India, the Indian Super League (ISL) and the I-League, have come to an end. But, the season hasn't. There is much more football to follow. One eagerly awaited tournament is the Super Cup. Starting Saturday, the Cup will feature the top teams from both the top leagues of Indian football going head-to-head in a one-of-its-kind tournament. The event will be played at Kalinga Stadium, Bhubaneshwar. 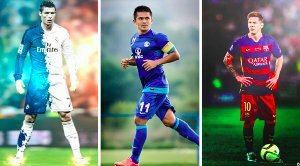 The economically-powerful ISL teams will rumble with the tactically-mastered I-League teams, a sight which has been awaited by most of the Indian football followers. The followers who were until now making claims of their team being good enough to toy with the other league's teams will finally get to see it happening. The fan debates about which league is better will reach a conclusion, at least for a season after the Super Cup. Khel Now takes a look at the three teams that could emerge as leading contenders to win the tournament this season. NEROCA surprised everyone by qualifying for the top division of Indian football, I-League. This season, they finished second only to champions Minerva Punjab outclassing heavyweights East Bengal and Mohun Bagan. A club that was hardly known by many not belonging to northeastern India is now on the lips of every Indian football fan. Under Gift Raikhan, NEROCA has been a formidable force that has managed to sneak out narrow victories from the mouth of the big fishes. Of the four games they played against the two Kolkata giants, the Manipur outfit lost only once and managed to hold the teams on the other three occasions, something every team would take pride in. NEROCA have kept the core of their team without bringing many foreigners into the fray. But, the ones that have been brought in have delivered. Felix Chidi was one of the top scorers of the I-league this season and another good foreigner, Jean-Michel Joachim, has been roped in, further increasing the attacking prowess of theirs. They have been the team in-form losing only three games throughout the season and no team looks better poised to win the tournament than the team from Imphal. East Bengal roped in Khalid Jamil as the head coach at the beginning of the season hoping that he would repeat the feat he managed with lowly-fancied Aizawl FC. East The Red and Gold also brought the stars of the former champions to win their first ever I-League title. But. destiny had something else written for them and Minerva took away the title. If that was not enough, the fact that they lost the bragging rights in the Kolkata Derby against arch-rivals Mohun Bagan by losing both the games against them added to their misery. After the final game of the season, Jamil apologised to the fans, applauded the team for their efforts and promised to come back stronger. The process of redemption has been started by the East Bengal management as they have signed Ugandan Khalid Aucho to address the defensive frailties, about which Jamil has stressed every now and then in press conferences. With one of the biggest problems of EB being solved, we can expect them to come out strong and challenge for top honours. The flagbearers of Indian football on the continent, Bengaluru FC are always the favourites no matter what the competition they are playing in and this one is no exception. The team from the Garden City of India are the ones who would be the most desperate for the Super Cup as they were forced to bite the dust by Chennaiyin FC in the ISL final. The team that started as favourites and were unrivalled throughout the three months had to settle with the consolation of being runners-up after the hearts of the fans were broken by Malison Alves' two headers. The scars of the loss are deep since Bengaluru FC will not get to play in any of the two continental tournaments next season. Although there has been one big departure from the squad, there have been few big renewals also. Also, in Sunil Chhetri and Gurpreet Singh Sandhu, BFC have undoubtedly two of the best players in the country. 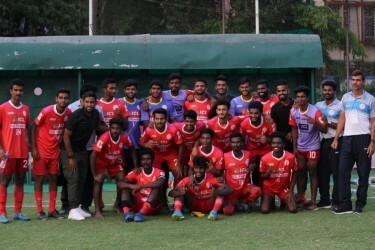 With four trophies in their four previous seasons, history banks on the side of the two-time I-League champions and that makes them big contenders for the inaugural season of the Super Cup.